Say Sayonara to the days when hair extensions were bulky and obvious! Thanks to brands like Great Lengths, extensions are now subtle, comfortable and can work for every lifestyle. 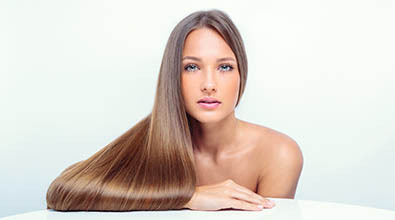 Our favourite application method is Keratin Bond as it is always the most flawless, discreet and permanent. This is when the extensions is tipped with a small, keratin protein bond which is fused to the natural hair. They are also the least damaging and longest lasting. Keratin bonds are also the most compatible with elements such as heat, water and sunlight, meaning they will not restrict your lifestyle. They are also the easiest to care for. However, we offer many types of application methods at Elite, to cater to all lifestyles, and hair types. There was once a time when salons who applied flawless hair extensions were a dime a dozen, but the amazing Elite team is right in the middle of the Gold Coast – we are accessible, affordable and pride ourselves on a perfect service every time. Think you might like to try extensions, but have a few questions? Please don’t hesitate to call us 0427 424 736 or message us on Facebook.